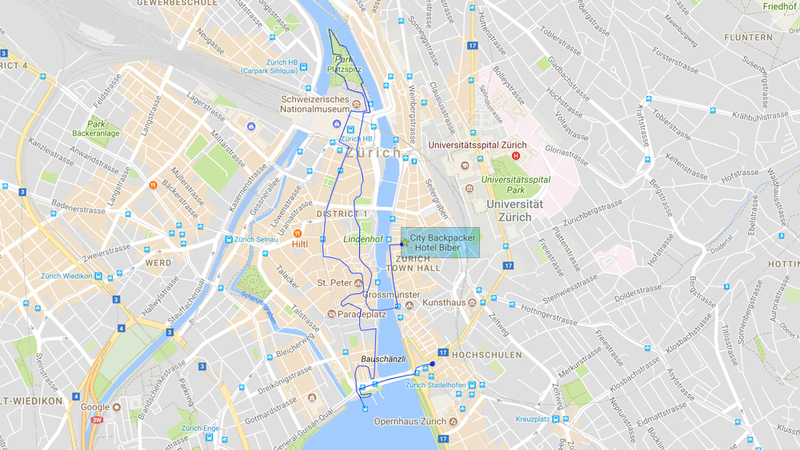 The Wandering Fools visit Zürich, Switzerland on a 12 hour layover. 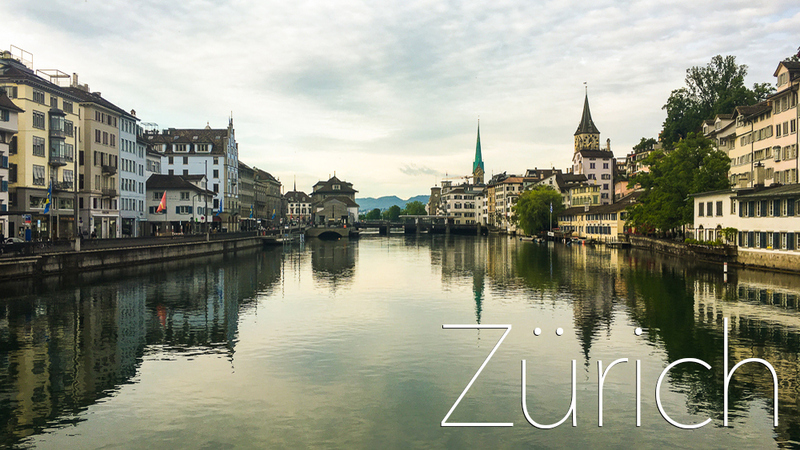 While arranging our return flights from Morocco, we noticed we could squeeze in a 12-hour layover in Zürich, Switzerland. It was an attractive opportunity. 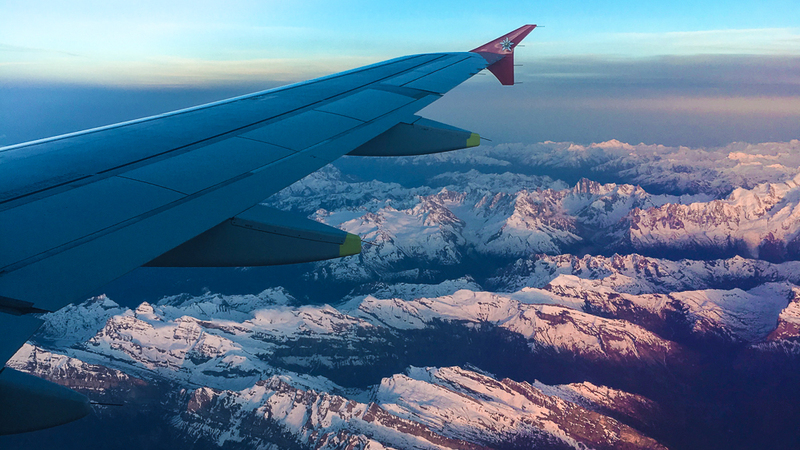 Not only would we spend time in a beautiful city, but we could avoid having to either race through the airport for a connecting flight (stressful) or sit around for several hours waiting to fly out (boring). 12 hours wasn’t a lot of time. But it was long enough that we could leave the airport and get the teeniest of tastes of the city, which Mr. Fool hadn’t visited in over a decade and Mrs. Fool had never set foot in. Before bed, we walked along the Limmat river and enjoyed the cool night air – quite a contrast from the hot, humid temperatures we had just left behind in Marrakech. 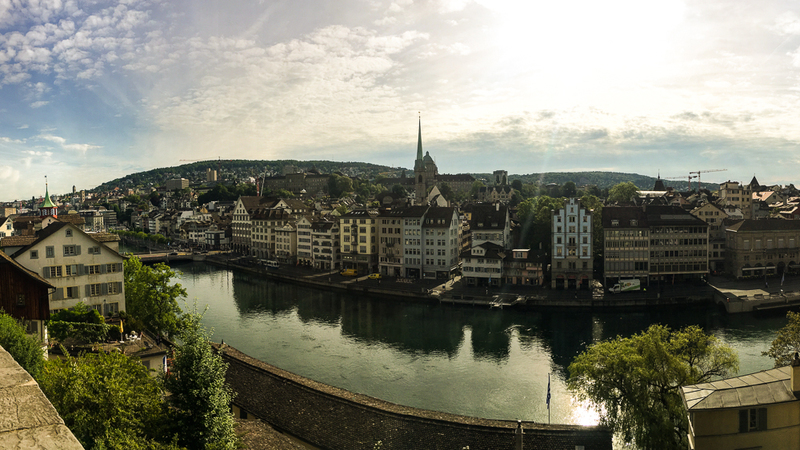 View across the Limmat river from the Lindenhof overlook. The next morning began at 6 AM. 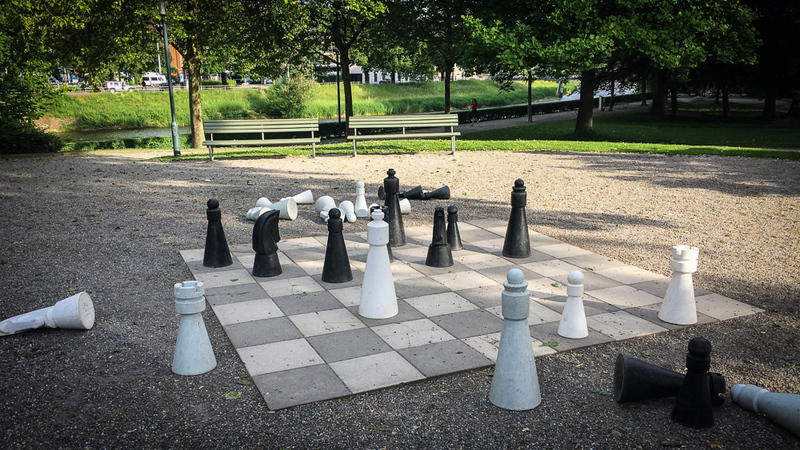 We walked to Platzspitz park to play a game of chess on an oversize chessboard. From there, we meandered though the city and admired the architecture. Zürich contains a beautiful mix of Baroque and Neo-Classical influences. 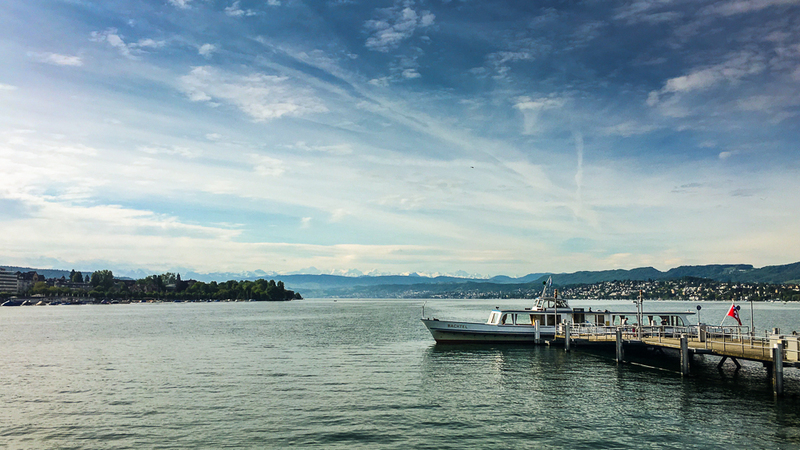 After pausing at the Stadthausanlage square farmers market, we finished our all-too-brief day at Lake Zürich. From there, it was back to the airport. Playing chess in Platzspitz park. View of Lake Zürich from Bürkliplatz pier.